Paduk comes from the other side of the Pendulum Wars. Originally Paduk fought for the Union of Independent Republics. His home nation of Gorasnaya was destroyed by the Locust Horde very early on in the war. Fortunately for Paduk, the COG navy helped him and a few others flee his demolished home. Originally considered a Prisoner of War by the COG authorities, Paduk eventually managed to convince his captors that he'd be of more use killing Locust with Baird's Kilo Squad than rotting away in a small prison cell. 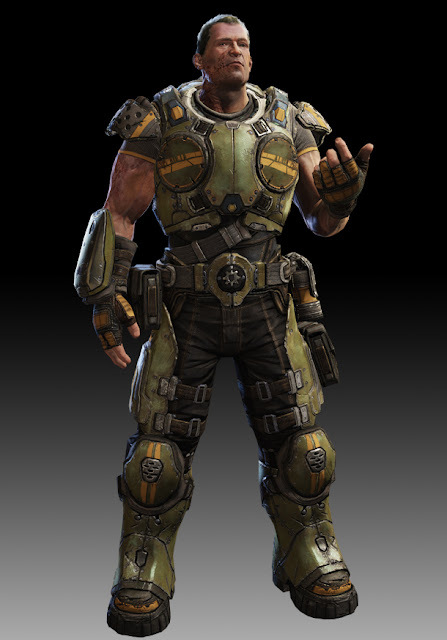 You may have already met Sofia Hendrik, another COG that will feature in Gears of War: Judgement.